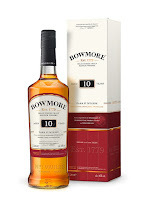 This is a 10 year old Bowmore released for the travel retail market. “Intense depth from the marriage of Spanish oak Sherry casks and hogsheads” it says. Classic Bowmore peat with dried fruits and dark chocolate in the smell. Dark notes, but very gentle on the nose, alcohol-wise. The taste is still a bit peated, but some fresh citrusy fruits comes forward alongside the dried fruits. First, I thought that the finish was over quite fast, but then it suddenly came back, and the especially dark chocolate, cacao and oak spices fills your palate. 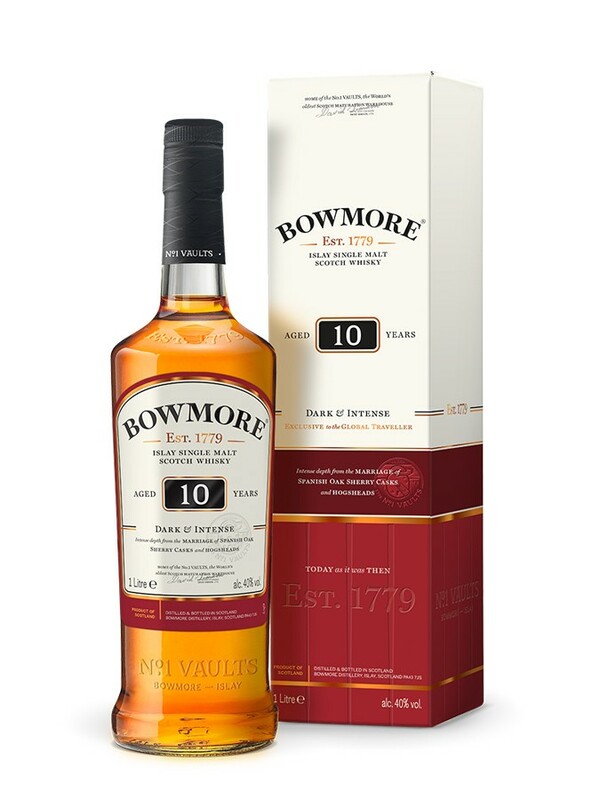 This is not a heavily peated Bowmore (yet very classic), and the dark notes make the peat – which by the way is more like smoke – a bit more subdued. I very fine dram that leaves me wanting to try this straight from the cask at the warehouse - yes, it needs a bit higher ABV in my opinion! I will give this 85/100 (20/21/22/21).